— Для активации может понадобиться образ — предоставляется по требованию у продавца. 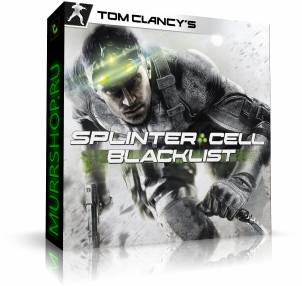 Tom Clancy's Splinter Cell Blacklist - High Power Pack 69 р.
Tom Clancy's Splinter Cell Blacklist - Homeland (STEAM) 99 р.
Tom Clancy’s Splinter Cell Blacklist - RU-CIS 480 р.
Tom Clancy’s Splinter Cell Blacklist steam gift RU+CIS 549 р.
Tom Clancy’s Splinter Cell Blacklist Steam (RU/CIS) 590 р.
Tom Clancy's Splinter Cell Blacklist - Standard (STEAM) 699 р.
Tom Clancy's Splinter Cell Blacklist Ed. |Gift| РОССИЯ 825 р.
Tom Clancy’s Splinter Cell Blacklist (Steam Gift | RU) 850 р.
Tom Clancy's Splinter Cell Blacklist - Deluxe (STEAM) 899 р.
Tom Clancy’s Splinter Cell Blacklist Standart (ROW) 980 р.